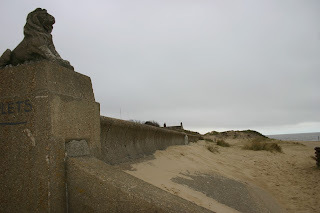 As a youngster, our family enjoyed many a holiday on the Norfolk coast at Caister-on-sea. The lion sitting on the wall is a familiar landmark and one that will always be in my heart and mind. In many respects we didn't have a great deal financially but we had the most wonderful holidays and parents who loved us dearly. I say us, because I have a twin brother, Tony, who, like two peas in a pod, found his love of horse racing from our dad, Colin. 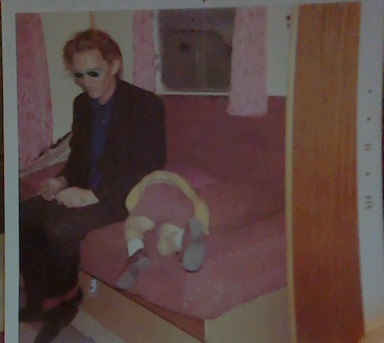 [Picture of me in the caravan; dad has stolen my plastic blue sunglasses]. Dad loved a day at Great Yarmouth horse racing. He wasn't a big gambler, always betting outsiders, and when they came up in a Yankee or accumulator, it was a day we never forgot. I remember one year watching as the last of his horses in an accumulator won with ease and he didn't show a sign of emotion: reserved, quiet, content. Without question he was one of the most honest, good people you could ever hope to meet. Sadly, his life was cut short by illness at the age of just sixty-two. These formative years nurtured a love for the sport of kings. Tony was the guiding light to our success gambling and without his unique understanding of group-entered horses I very much doubt I would be a success. In those good old days, before sport was televised, if anything, we were outstanding in our knowledge of two-year-old horse racing. I am presently gambling full-time, while working on other projects with many and varied websites - most related to horse racing. Two-year-old horse racing is my niche. I don't need to proclaim to know everything but I have won myself and family good money over the years. I have bet more than £400,000 in one successful year. These days I don't need to bet so big. For all would-be successful gamblers, it isn't about being the best, just that little better than most. It is the same for any business. One of my greatest academic achievements was gaining a 2:1 Honours Degree in Psychology. In truth, I am the male version of Educating Rita, a product of The Open University. I love Willy Russell's screenplay - the changing and reflexivity of identity. I would like to thank all who venture this way and enjoy our websites. In truth, the information we detail from a betting perspective is the tip of an iceberg. We are always here to help so feel free to contact me.